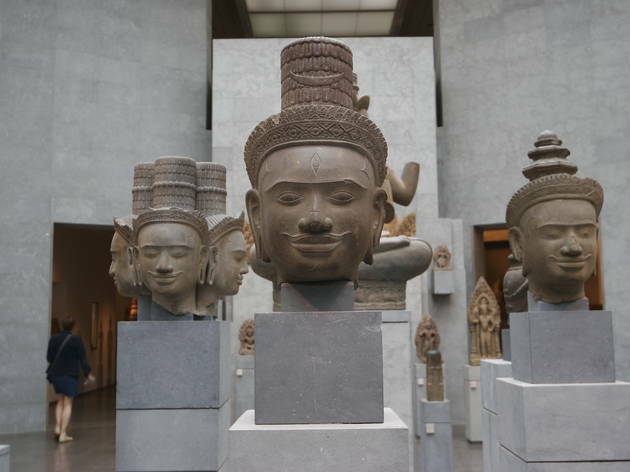 Founded by industrialist Emile Guimet in 1889 to house his collection of Chinese and Japanese religious art, and later incorporating oriental collections from the Louvre, the museum has 45,000 objects from neolithic times onwards. 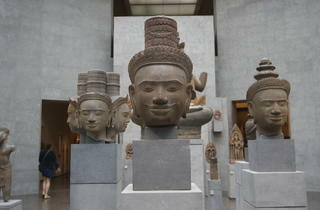 Lower galleries focus on India and South-east Asia, centred on stunning Hindu and Buddhist Khmer sculpture from Cambodia. Don't miss the Giant's Way, part of the entrance to a temple complex at Angkor Wat. Upstairs, Chinese antiquities include mysterious jade discs. Afghan glassware and Moghul jewellery also feature. €7.50; €5.50 reductions; free under-18s. PMP.